Red deer (Cervus elaphus) entered the outer islands of Scotland about 5000 years ago, say researchers from Cardiff University. Most likely, they were brought across the ocean by humans from continental Europe, possibly from as far as central Europe. The red deer of the Outer Hebrides and Orkney did not come from mainland Scotland or Britain. David W. G. Stanton, Jacqueline A. Mulville, and Michael W. Bruford, all from Cardiff University, wrote about their latest study in the academic journal Proceedings of the Royal Society B (citation below). Red deer have played a major role in human societies across history, with considerable cultural significance as a source of materials and food. This deer-human relationship dates back to the earliest human cultures and continues today. 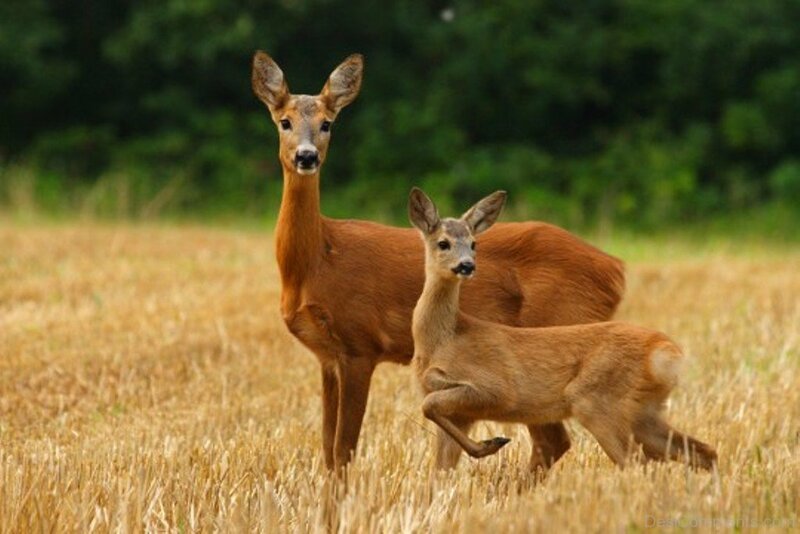 Experts say that humans have been responsible for much of the geographic movement of deer throughout history. However, most of these movements have been poorly described or understood. Dr. Stanton and colleagues, who studied deer movements, said their findings will help us better understand ancient human-wildlife interactions, and in the case of bringing the animals to islands, inform us about ancient human seafaring practices. The team used DNA sequences to characterise red deer genetic diversity across the Inner and Outer Hebrides and Orkeny (Scottish islands) and the mainland using ancient deer samples. They tried to infer historical colonization events. Their findings suggest that red deer from the Outer Hebrides and Orkneys most likely did not originate from mainland Scotland, i.e. humans introduced Cervus elaphus from a greater distance. The authors say their results also suggest that red deer did not come to the Scottish islands from Norway or Ireland either. It appears the animals were brought by Neolothic (New Stone Age) people from an unknown source. After studying modern red deer genes, the scientists found that those in the Outer Hebrides and Orkney were very similar – they had a common ancestry. Close genetic proximity between Ireland and the Inner Hebrides, however, confirms previous studies which suggested that Irish red deer originated from mainland Britain. During the last Ice Age, red deer, modern Britain’s largest land animals, were banished from most of Western Europe and restricted to southern regions of the Iberian peninsula. When the ice started to retreat about 10,000 years ago, red deer as well as other animals, including humans, gradually spread northwards. However, it wasn’t until about 5,000 years ago that red deer made it to the outer Scottish isles. If not from Scotland, Ireland nor Norway, then where? If modern red deer in the outer Scottish isles came from central Europe, they may have shared the trajectory of the Orkney vole, which 5,100 years ago arrived with Belgian farmers on boats, a 2013 study found. Professor Jeremy Searle from Cornell University, Ithaca, New York, a member of the team of the 2013 study, described the new work on red deer DNA as ‘absolutely fascinating’, however, he cautioned that the genetic uniqueness of the ancient outer-island deer has several other explanations. Prof. Searle and team have found evidence of this type of 2-phase colonisation in several species in Britain. Citation: “Colonization of the Scottish islands via long-distance Neolithic transport of red deer (Cervus elaphus),” David W. G. Stanton, Jacqueline A. Mulville & Michael W. Bruford. Proceeding of the Royal Society B (Biological Sciences). 6 April 2016.DOI: 10.1098/rspb.2016.0095.